Corsica’s location in the Mediterranean Sea has blessed it with unusual rugged beauty and more sunshine than almost anywhere else in Europe. Its location has also guaranteed lots of fighting, conquest and bloodshed as various powers sought control of this beautiful, yet strategically located place. For much of its early history, one power after another arrived, seeking to overthrow the previous one. In fact, when Corsica declared independence in 1755 under Pasquale Paoli, it had never been a nation of its own. 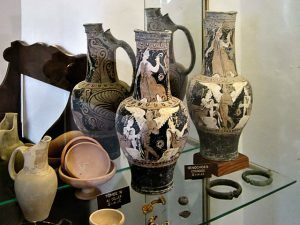 Pottery, stone tools and other such artifacts prove that there were people on the island much earlier, but the first semi permanent settlement on the island, Aléria, on the east coast, dates back to its founding by the Greeks in 566 B.C. 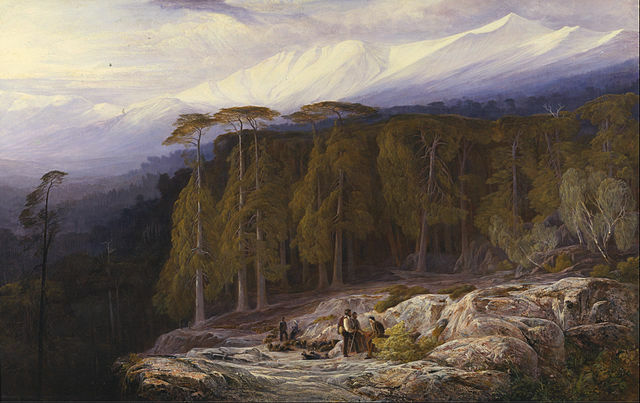 The Greeks called the island Kurnos. The name Corsica is from the Latin language, coming into usage during Roman rule. The Greeks did not last long and were driven out by an alliance of Etruscans and Carthaginians, who stayed and dominated until 237 B.C. The island next became part of the Roman Republic and the official language became Latin. The year 430 A.D. saw a takeover by the Vandals who plundered and destroyed the coastal cities, driving the inhabitants into the mountainous interior of the island. The Vandals, who came from Northern Europe, remained, for the most part, in the coastal areas, not bothering the inland inhabitants too much. Things stayed this way for almost one hundred years. In 522, the island was annexed by the Byzantine Empire, although it continued to suffer raids from Vandals as well as Lombards, Ostrogoths and Saracens. In 725, the Lombards prevailed for just about fifty years, after which Charlemagne, the Frankish King, reestablished Roman rule. Soon enough, the Lombards forced their way in again, regaining control of the island from 930-965. At this point in time, a rather chaotic period ensued. 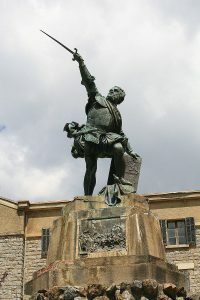 Otto I, a German King who became Holy Roman Emperor, drove out the Lombards but left Corsica in a period of anarchy where internal rivals battled each other for control of the island. In 1077, a century later, it was decided to give control to the papacy. Under the Pope, however, Corsica suffered from the effects of continual clashes between the Genoese and the Pisans, who both sought to dominate the Western Mediterranean. 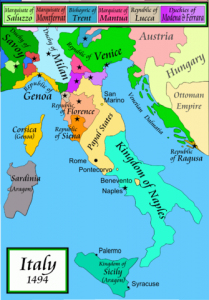 In 1217, fighting finally ended and Corsica was annexed by the Papal States with Pisa claiming administrative rights over the island. The Genoese, however, were destined for the longest rule of the island which they claimed after a decisive victory during the Battle of Meloria in 1284. Corsica remained a part of the Republic of Genoa for close to 500 years except for a couple short takeovers by Aragon and France. In 1453, the Bank of St. George, a financial institution headquartered in Genoa, was granted direct control of Corsica. 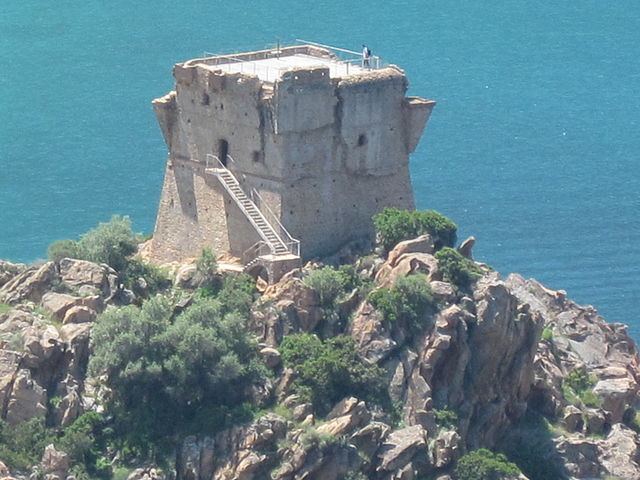 Troops were dispatched to the island, walled cities were built and populated by Genoese colonists and watchtowers were constructed on the coastline to protect the island from pirates, raiders and smugglers. The protection of the bank as a third party succeeded for the most part in establishing peace and order. With time, the issue of Corsicans being excluded from the Genoese walled cities became a point of contention. Both the Bank of St. George and the Republic of Genoa saw increasing resentment from native Corsicans. Sampiero Corso was a Corsican who emigrated to France and became a high ranking officer in the French army. He used his influence to convince the French army to take Corsica – without the knowledge of King Henry II. The French invasion of 1553 with the help of Turkish allies, met with a sizable success and they succeeded in taking much of the island. French control was lost after only about a year when the Turks began succumbing to the plague, causing them to abandon their role in the matter. It was Queen Elizabeth I of England who grokered the peace treaty returning the island to Genoa in 1559. The next major event to take place was brought to pass as a result of the Age of Enlightenment. Corsica distinguished itself by bringing about the first enlightenment revolution and a constitution that is believed to have served as an inspiration to the U.S. Constitution. Corsica had never been a nation of its own up to this point, having always been under the control of a foreign power. This all started to come about when the Corsicans began staging a revolt in 1729. In 1732 Genoa promised to implement major reforms but did not follow through on their promise and by 1734 the two parties were at war again. Corsica requested help from the Spanish, but they never arrived. A German by the name of Theodor von Neuhoff was able to convince the Corsicans that he could help free them from Genoese rule and succeeded in briefly establishing himself as King Theodor I of Corsica. He was arrested and thrown in debtor’s prison while travelling abroad and that was the end of that. 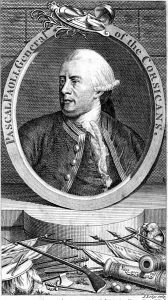 It was Pasquale Paoli, who was to become recognized as Father of the Nation and who proclaimed Corsica an independent republic in 1755. He led the resistance against the Genoese and was the author of the Corsican Constitution. The Corsican Republic was a representative democracy and Paoli was elected leader of the republic rather than appointed. He was also the founder of the first university in Corsica. Instruction was in the Italian language as Paoli considered the Corsicans to be an Italian people. His efforts in the cause of liberty were admired by many. In 1768 the New York Journal even went so far as to call him “the greatest man on earth”. 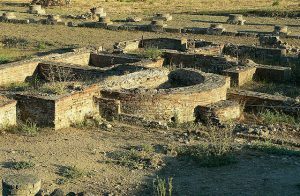 The capital of the republic was the city of Corte. Many of the coastal cities stayed under the control of the Genoese, but the rest of the island held together as a republic, although it did not last much more than a decade. In 1764, when the Genoese realized that they could not get rid of Paoli, they secretly sold the island to France who then began replacing the Genoese in the citadels. Four years later, an open treaty formally gave control of the island to France. Paoli, who went on to be remembered as an idol and hero, was sent into exile. He returned after the French Revolution to help establish a brief alliance with England which lasted from 1794-1796. When the French succeeded in reclaiming the island, he went back into exile. He died in Britain in 1807. One year after Corsica’s transfer to France, Napoleon Bonaparte was born in the capital city of Ajaccio. 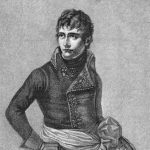 As a young man and soldier, Napoleon was devoted to the Corsican nationalist movement, establishing contact with Paoli and spending the early years of the Revolution fighting in Corsica. He would later come into conflict with Paoli and fled with his family to the French mainland in 1793. During World War I, the population of the island numbered around 300,000. Remarkably, historians claim that around 50,000 troops from Corsica went to war and over fifty percent of them died in combat. Corsica was also used as a hospital for the wounded and many prisoners of war were sent there. 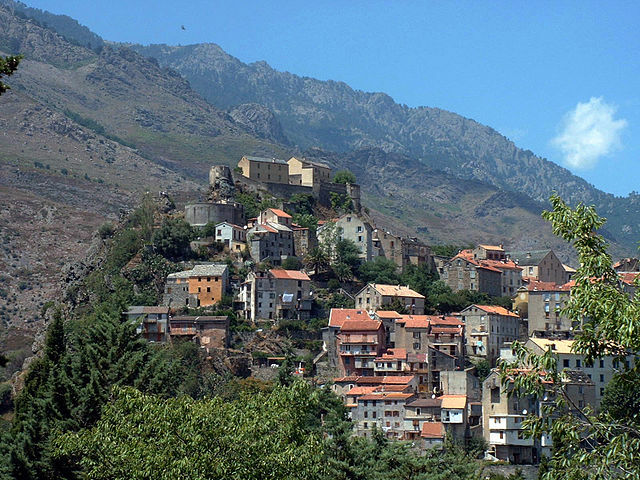 Corsica was occupied by Italian troops during World War II which resulted in much fighting. The 85,000 Italians were supplemented by 12,000 Germans. After the imprisonment of Mussolini, the Germans took over the occupation with the addition of 40,000 more troops from the Africa Division. Meanwhile, resistance forces had been building up in the interior and when joined by the French First Army Corps, they were able to drive out the Germans who now, no longer allied with the Italians, abandoned the island, leaving Bastia on October 4, 1943. Corsica became an important allied air base at the end of the war. 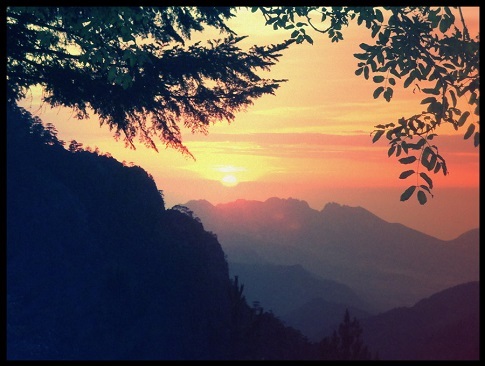 Today, Corsica has a thriving tourism industry. There remains a sentiment towards independence, which is manifested by various movements and groups. 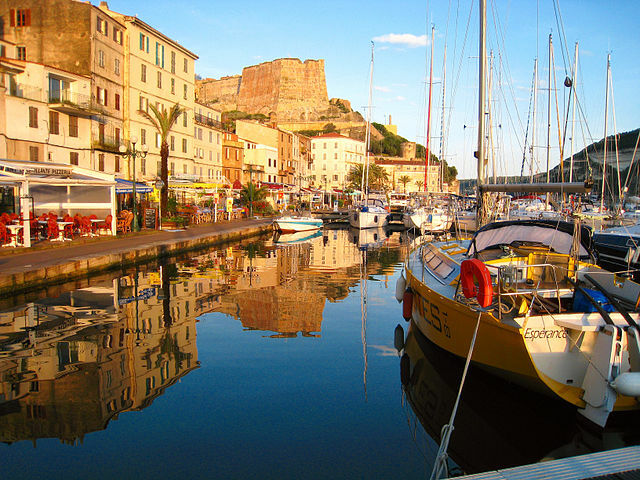 Corsicans continue to consider themselves Corsicans rather than French and their culture, language and history have definitely contributed to a unique identity that continues to fascinate travelers to this beautiful island.